With a large King bed it was perfect for the boys and I. Lots of room with a chaise-style sofa and a remarkable view of the Toronto harbourfront and Billy Bishop Airport (Toronto Island Airport). 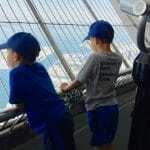 For two boys watching ferries, boats and planes is pretty much the best view you could ask for! We chose the King room because the boys always sleep with me when we travel. No point in getting a room with two double beds if we only needed one bed. Refrigerators are available upon request if you would like to bring your own food. 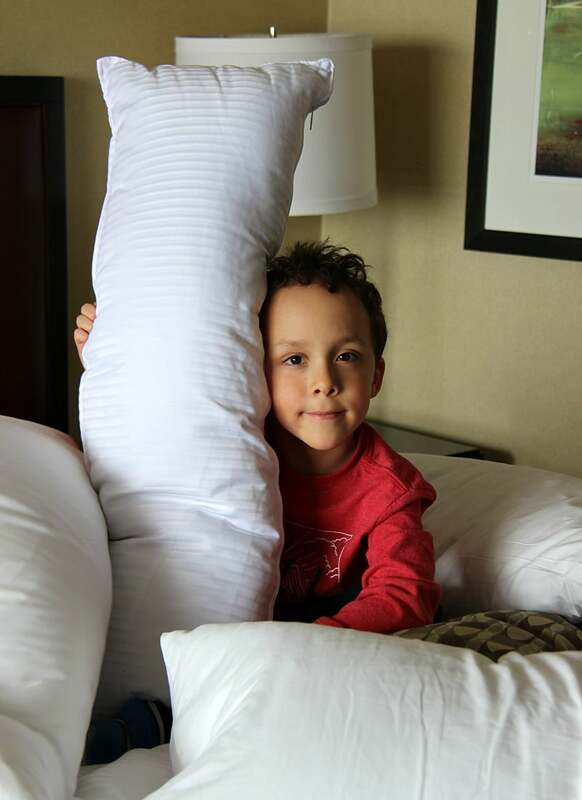 The boys loved all the pillows! Lots of pillow fort building happened during our stay. This smile tells it all! 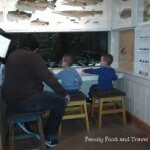 A fantastic family getaway at the Westin Harbour Castle. Dinner at The Chartroom Bar and Lounge was casual and absolutely fantastic. Located right in the main lobby it had large TVs (playing the hockey game while we visited) and comfortable seating that makes it feel more like a cozy living room than a restaurant. With a good wine list and some delicious feature cocktails (and lots of non-alcoholic options) there is something for everyone. The boys had Dr. Greg’s Deconstructed Caesar Salad. It was just the way they like it and ate each part separately with a glass of chocolate milk. And I had the Chef Corbin Brioche Burger with Clothbound Cheddar that was so big I had to cut it up to eat it. But oh my it was delicious! I was in gourmet burger heaven. Breakfast at The Mizen where we had a delicious assortment of made to order omelettes, hot food (eggs, french toast, mini pancakes, eggs, bacon, sausages), a comprehensive oatmeal bar, assorted breads, yogurts, cheese tray, smoked salmon, pastries, fresh fruit and cereals. Coffee, tea and juice are included. Breakfast is $27 per adult and $11 per child 5-12, children under 5 are free. My boys loved the breakfast and ate a delicious amount of food and I loved that there were great kids choices and lots of decadent and healthy options for me. With protein and nutrient rich items available it is a great way to start the day. The service was wonderful and they were happy to oblige my kids travel favourites like orange juice in a coffee mug! 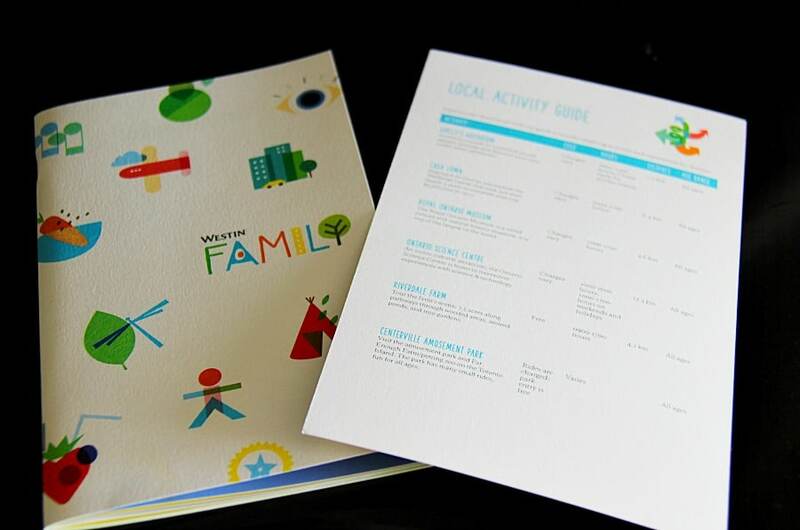 At check in the boys received the Westin Family booklet with a fun list of Family Friendly Activities for Toronto. Plus with a gorgeous indoor swimming pool, outdoor tennis court, WESTINWORKOUT® fitness studio plus lots more great hotel features. And when my boys lost their toy cars under the bed service came up and retrieved it with a smile and total understanding of what it’s like to have young kids! Love when a hotel is happy to help out a mom in need! Overall it was a perfectly wonderful family getaway to a hotel we loved. 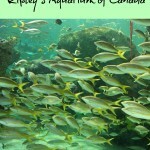 While this was our first visit to the Westin Harbour Castle it definitely won’t be our last. 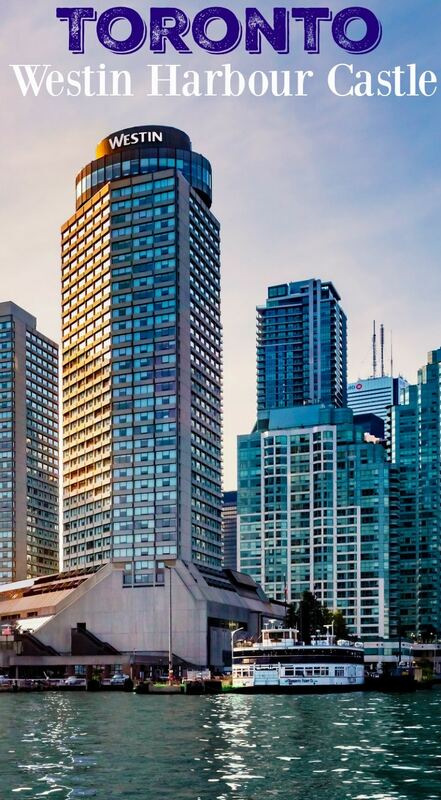 Check out the Westin Harbour Castle social media accounts to get up to date information and specials. Follow them on Twitter, Facebook, Instagram, and Trip Advisor. Disclosure: Our hotel room was provided by Westin Harbour Castle. As always, all opinions are my own. Note: Professional photos used with permission by the Westin Harbour Castle. 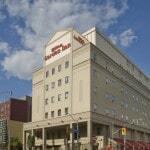 So happy that you enjoyed your stay in Toronto and at The Westin Harbour Castle. We are so glad you and the boys enjoyed your stay. Hope to see you back again soon! It was wonderful Dan. The boys took pictures to school to tell all their friends about it! That sounds like an awesome place to stay! I would love to get back to Toronto. I love the waterfront location. It looks beautiful and the food (especially that burger) looks absolutely awesome. This looks like such a great place to visit. I wish I was near Toronto to see this site. That looks like the perfect hotel where you can unwind and definitely relax! This looks like the perfect getaway. I haven’t been to Toronto, but I’d love to check out all of the sights & all of the yummy foods. 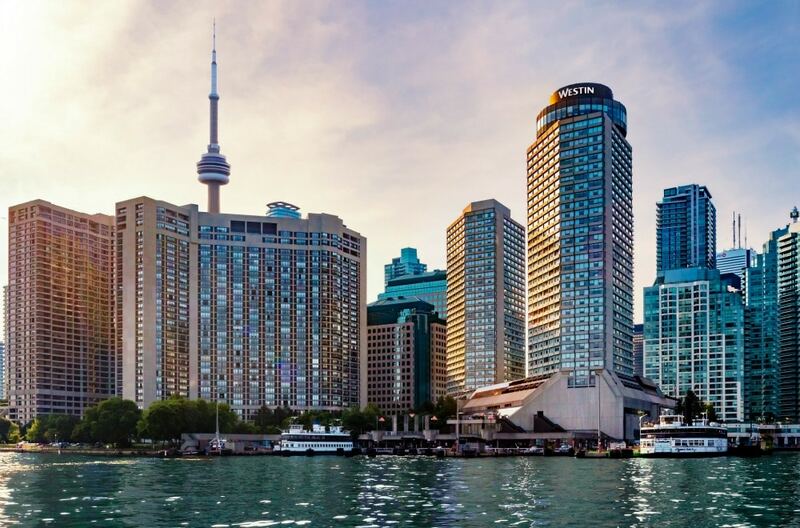 The Toronto Westin Harbour Castle looks like an amazing place to stay. 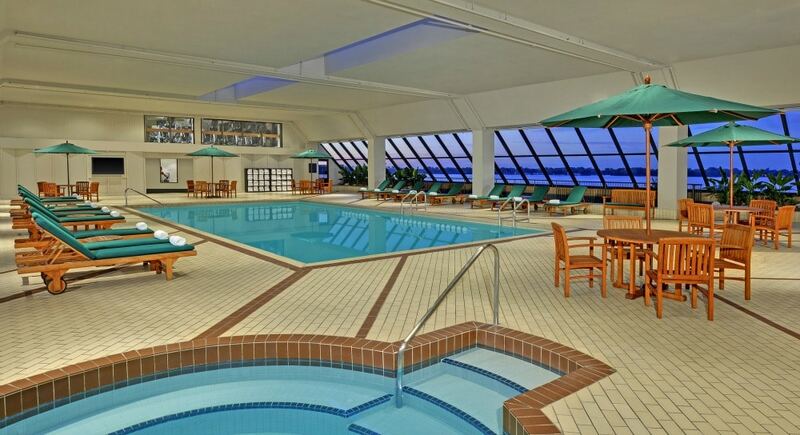 The rooms look amazing and the pool would be so refreshing. These rooms look so comfortable. It would be a great place to stay while in the city. 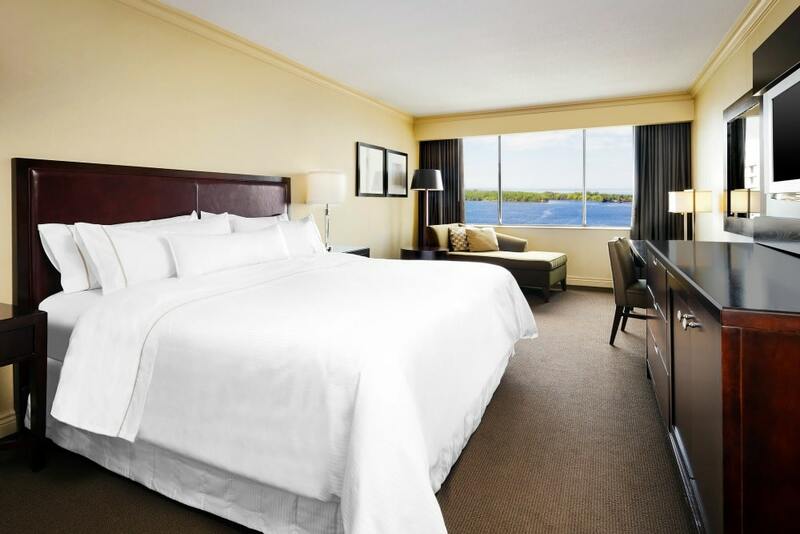 The Westin Harbour Castle looks like a wonderful place for a family vacation. I really love how family friendly it is. The pool area looks great! This is a very beautiful place to stay I can see from your pictures, I love that they are so accommodating to families. I am pretty sure I would have chosen that same burger off the menu! I have never been to Toronto before. Seeing this place makes me want to visit this summer though! Gorgeous property! We visited Toronto 4 years ago and looking forward to returning, will consider this Westin for sure. The food, ambiance and amenities look amazing. Myrah Duque recently posted..Al Fresco Chicken Breakfast Sausage only $0.50! My hubby and I will visit my Aunt in Toronto this summer. 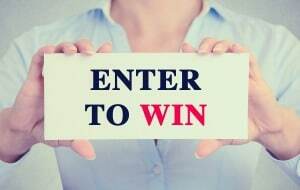 From the pictures that you posted, I think this is a great place to stay. 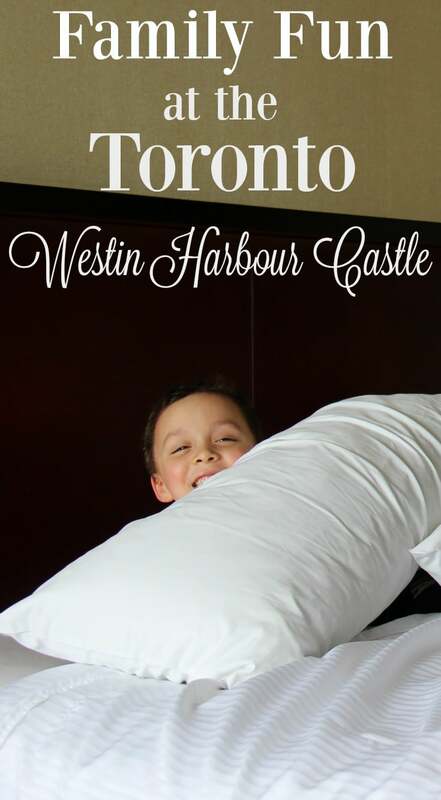 We’ve had the pleasure of staying at the Westin Harbour Castle last year and loved it! We especially loved the pool and the great view from our room. We were able to watch the Canada Day fireworks right from our room! Looking forward to staying there again for a Jays game in early July!